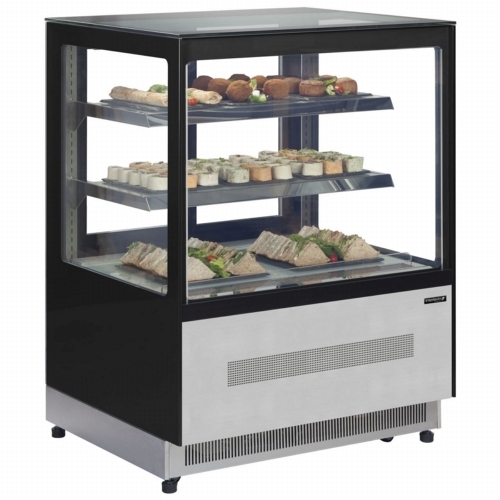 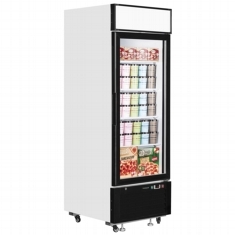 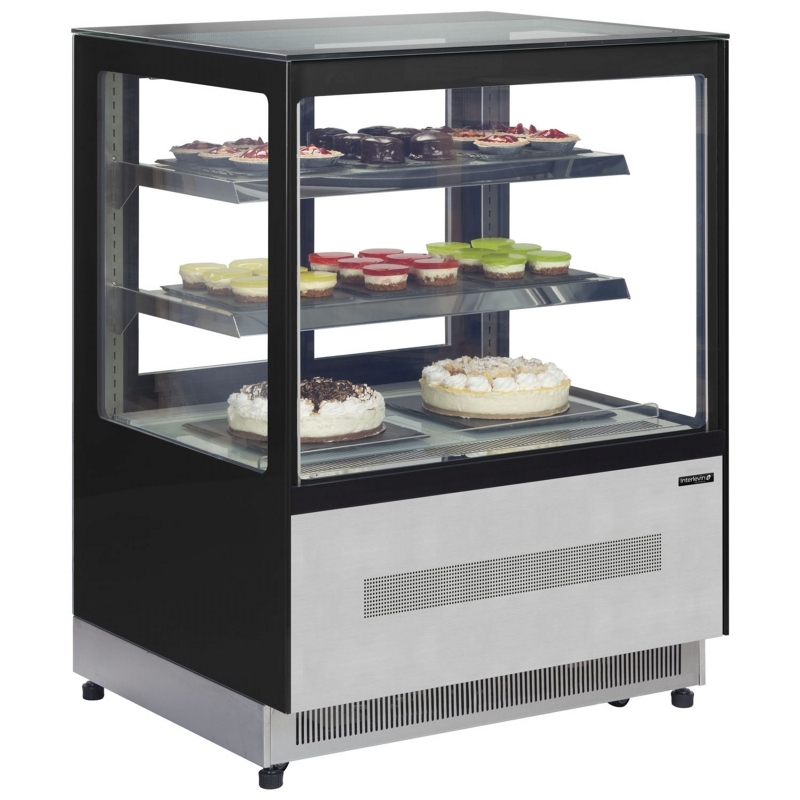 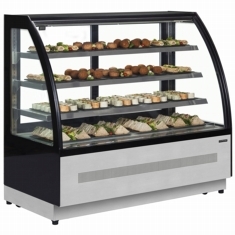 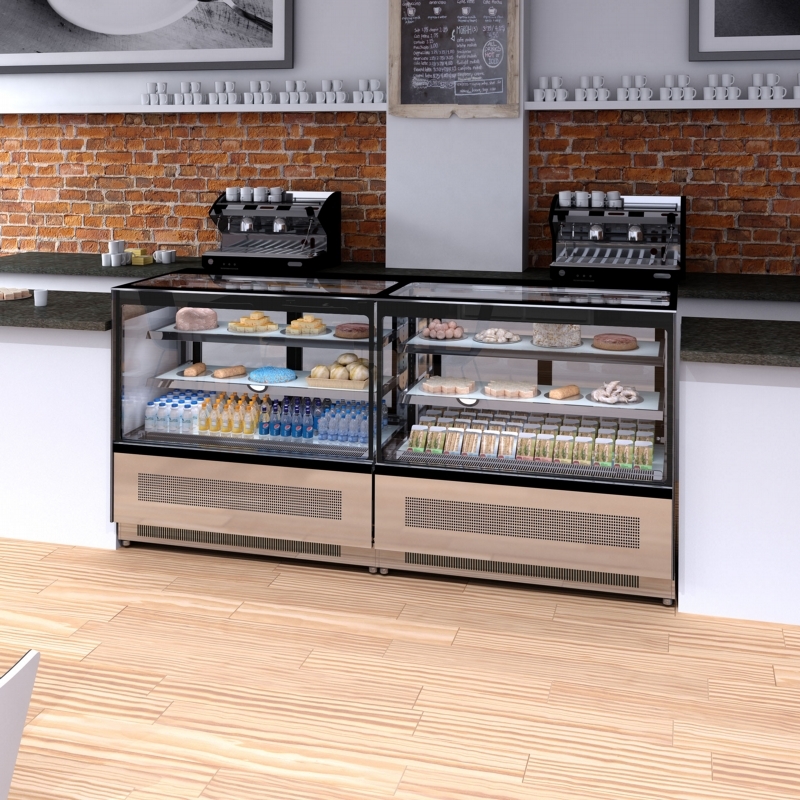 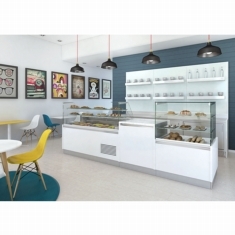 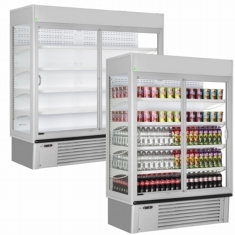 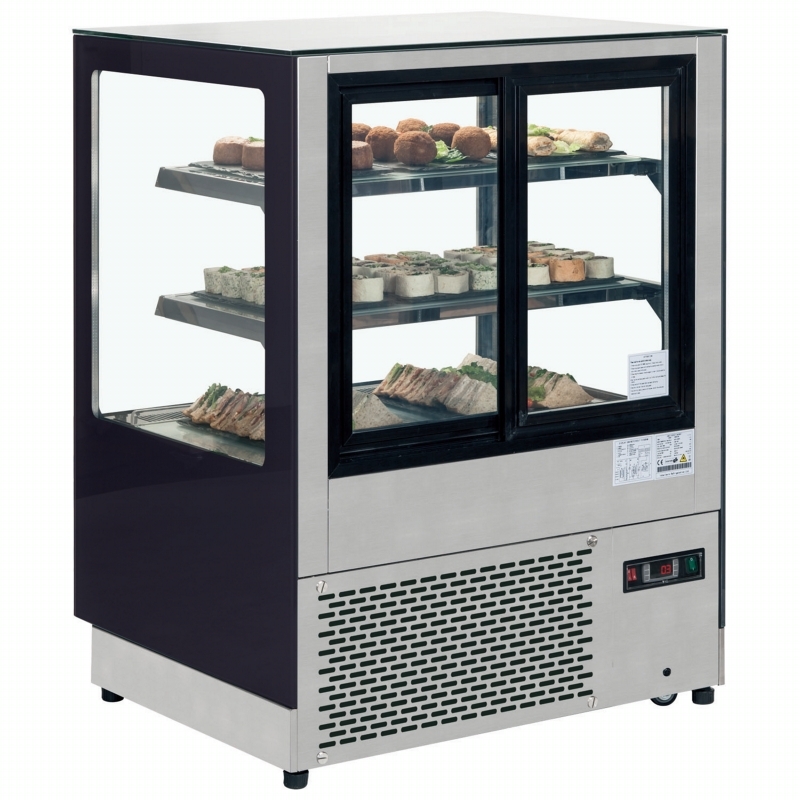 A premium range of refrigerated flat glass displays ideal for cafes and coffee shops, suitable for deli or cake display and available in 4 different sizes. 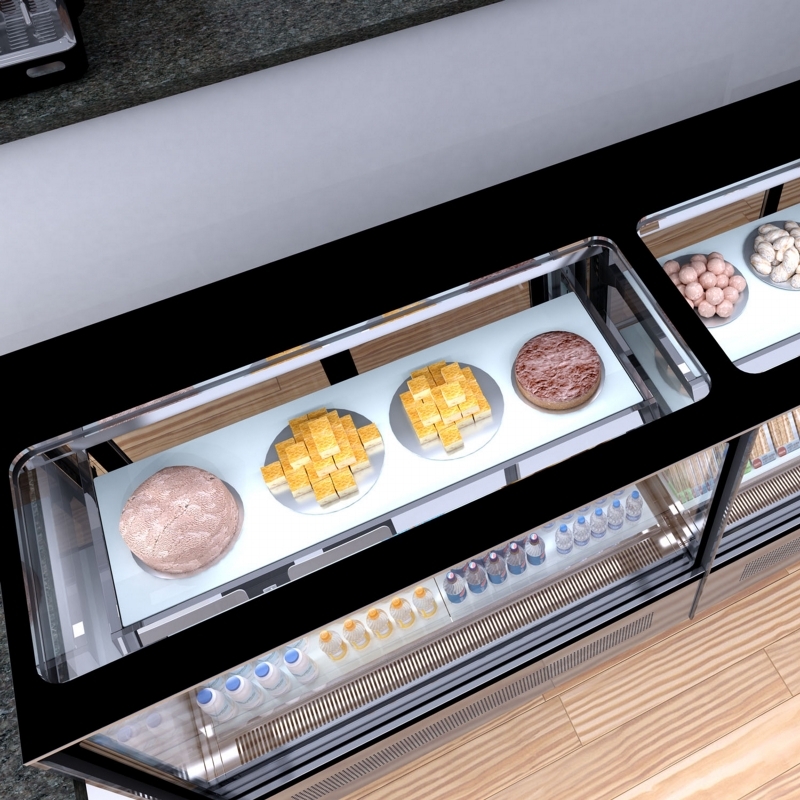 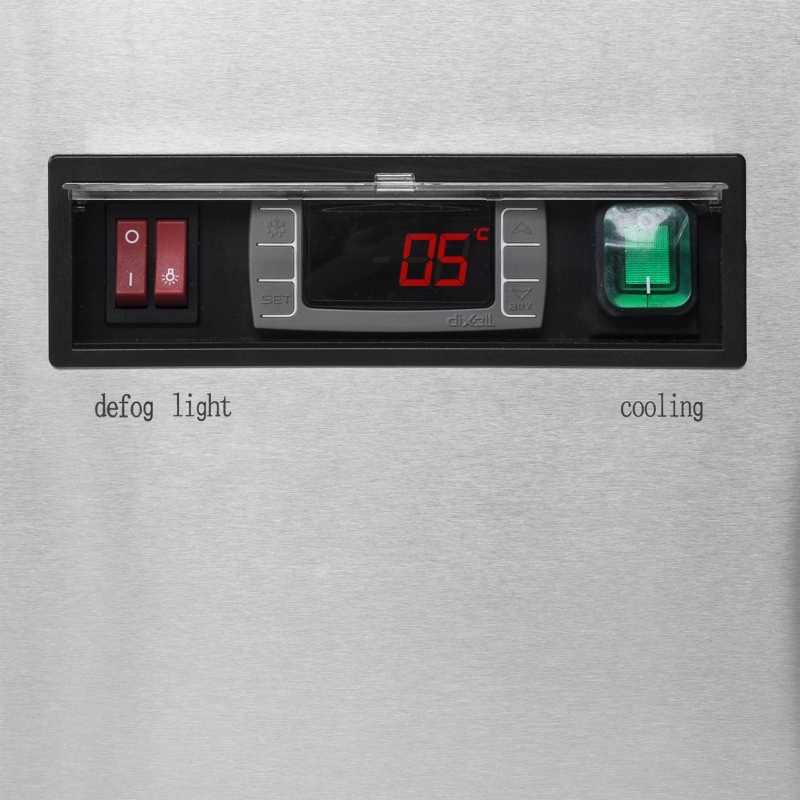 Units have LED lighting under each shelf to help give an excellent display. 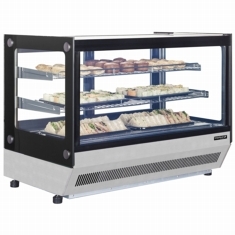 Sliding doors to the rear allow easy loading and serving. 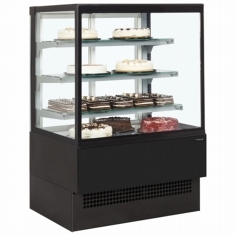 Double glazed glass helps to reduce running costs. 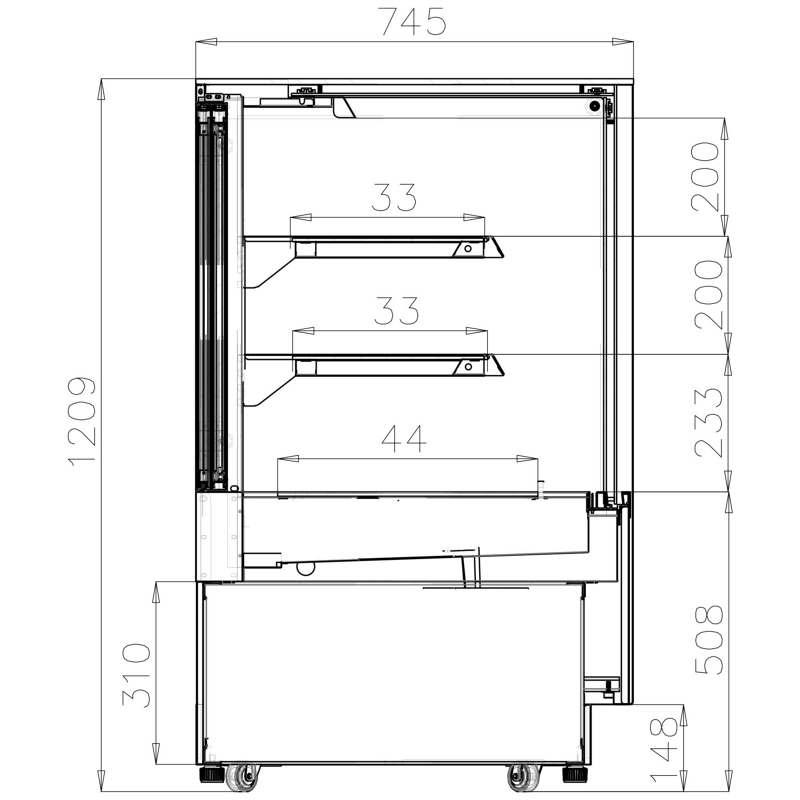 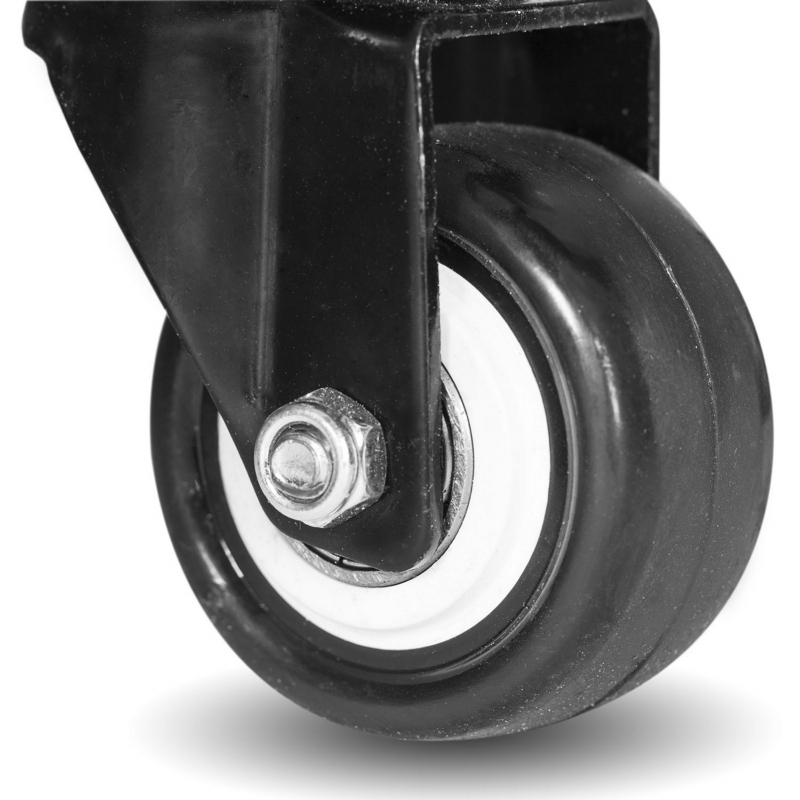 Cabinet comes fitted with castors for easy movement with feet at each corner to stop movement and level if required. Finished in stainless steel and gloss black glass.